Rich German’s dream of seeing a whale… and not just the ordinary whale… but the most dangerous kind — Orcas (aka killer whales). His dreams recently came true as he was paddling with his paddle board at the coast of Laguna Beach California. 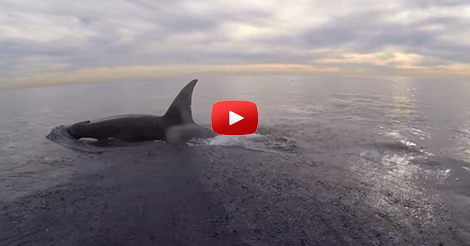 He had a close encounter with 5 friendly orcas… and the whales interacts with him. He recorded this scene with his GoPro. Check out the video below. Seems like they ain’t that dangerous after all. COMMENT and share a video of your close encounter with a whale if you have one. 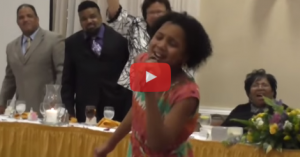 An 11 Year Old Girl SHOCKS The Crowd When She Stands Up To Sing! This Mom’s Daughter Was Kidnapped. 17 Years Later She Now Has A Message For The Kidnappers…And You Will Be surprised By It!